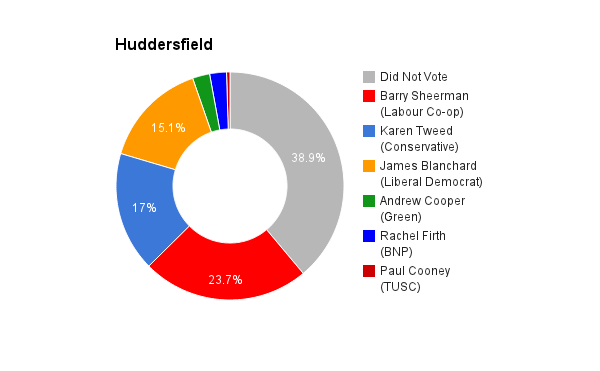 Huddersfield covers most of the large town of the same name in West Yorkshire. Apart from one four year break, it has returned a Labour MP at every election since 1945. Currently the seat is held by one of the Labour Party’s 30 Co-op MPs, Barry Sheerman.